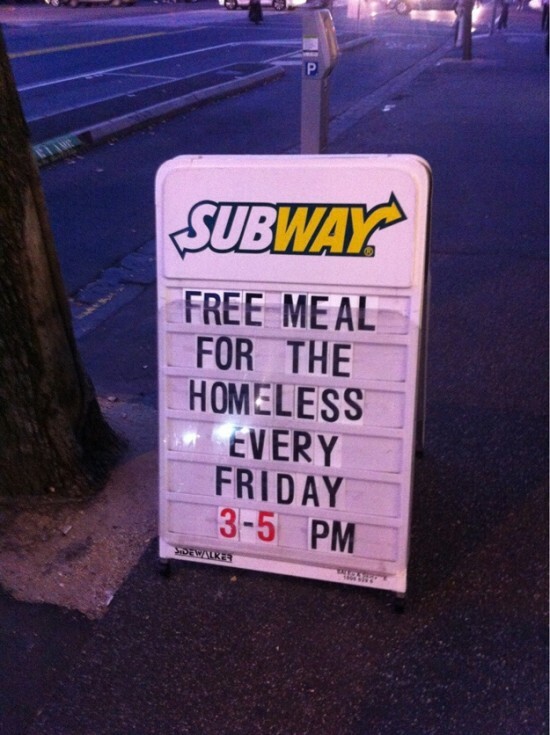 A friend forwarded me a collection of “21 pictures that will restore your faith in humanity” from Buzzfeed. There are actually about 40 photos that go with 21 inspirational stories. The inspirational photos were great. Below are photos from three of the stories along with some research I did on each. Butters said 12-15 people generally take them up on the offer each month. She also said that two of the people who took Plaza Cleaners up on the offer got the jobs they applied for and are now paying customers. 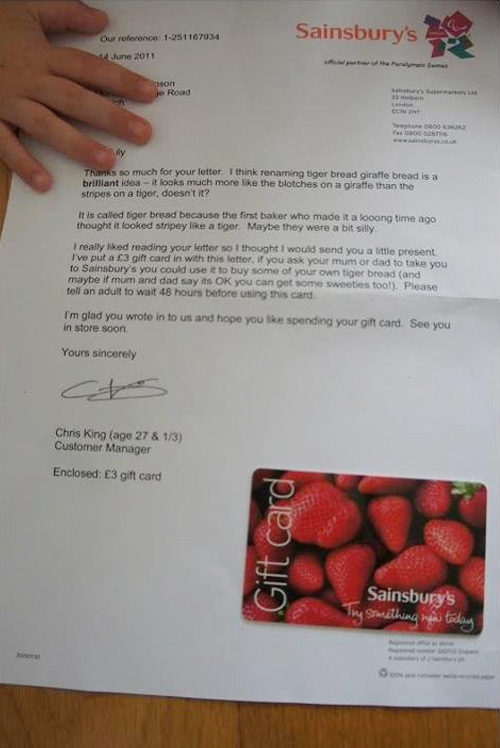 This is simply a nice letter from a little girl and a response from the company that made me smile (I loved that the person put their age as 27 & 1/3). 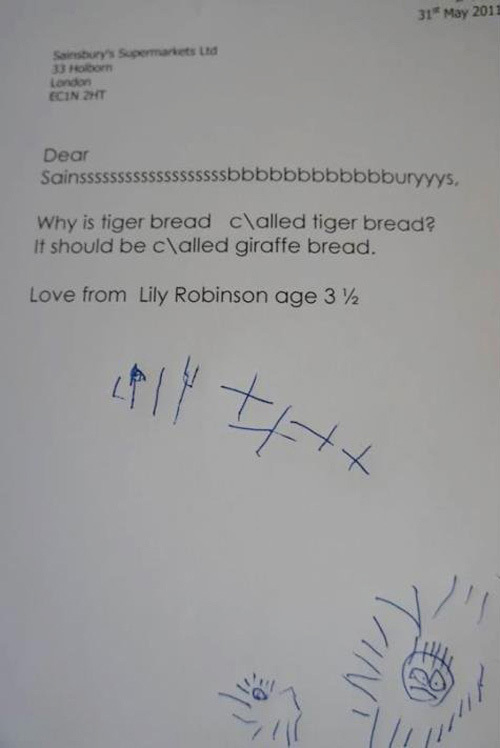 Eventually, the company even renamed their bread “giraffe bread” due to this little girl’s letter going viral. Here’s the article from the BBC. 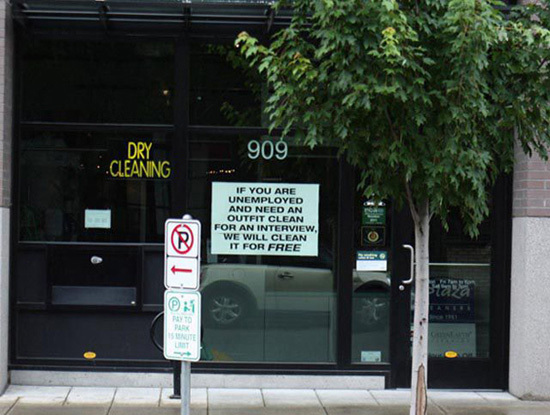 I couldn’t verify this image anywhere, but I still love it. You can see all 21 of the stories and the 40 inspirational photos that go with them on Buzzfeed. Definitely worth checking out.